When evaluating your company phone system and service, a VoIP comparison is necessary to evaluate the opportunity before you. This VoIP comparison will take you down two separate evaluations: one, to compare your existing system and service with a VoIP alternative and, two, evaluating the differences in VoIP providers. Compare Features and Functionality - There are analog-based phone systems that provide a good set of features. However, the features of VoIP platforms are robust and expanding. Our first recommendation is to take a look at the features offered by a number of Hosted VoIP providers with an eye on how these features could impact your business in a positive way. Such features can improve your communication accessibility with your employees and customers, provide a platform for mobile or remote employees, and streamline your internal call handling processes. Compare Costs of Equipment - If you are looking to replace your business' current analog phone system, the cost to move to a Hosted VoIP service is hands-down much more favorable. The biggest factor in this calculation is that you do not have to invest in a core system with Hosted VoIP. Only the VoIP Phones are required along with some other minor equipment. If you are comparing a Hosted VoIP service against maintaining your current analog company phones, it is likely that the one-time cost of the Hosted VoIP equipment is still favorable to a service contract or the on-going replacement/maintenance cost of the analog system. Compare the Cost of the Phone Service - In the wake of mounting customer losses to VoIP providers, traditional telecom providers have been raising their business phone line costs to maintain revenues and margins. Even before such moves, the monthly costs of Hosted VoIP services have provided a monthly cost savings and helps provide a quick return on investment for the capital required. Solicit a few bids from Hosted VoIP providers and compare to your current phone service with the recognition that the traditional business phone service costs are rising over time. Compare the Cost of Administration - With your current company phone system, changes or programmatic updates (if even possible) are the business' responsibility. You may have some elements that are included in a service contract with the system provider as well. With Hosted Phone Service, there are providers that will take care of all of your administrative needs as a part of the monthly service. Research Hosted VoIP providers that will relieve you from this cost and responsibility. The second lane in your VoIP comparison is to evaluate the various Hosted VoIP providers. The number of options out there are vast, and narrowing the list down can be challenging. We would suggest comparing a couple of the national named brand providers alongside alternatives that are regional or local to your area. One key to the local/regional list is to find a provider that has stood the test of time, operating a minimum of 5 to 10 years. Such a tenure would suggest that they are fiscally and technically stable and have a solid and loyal customer base. Another key with this set of providers is to make sure that they are not simply a reseller of a white-labeled national product. Resellers do not handle the technical customer service directly nor are they responsible for the on-going research and development of their product. Once you receive bids for your company phones and service from these providers, be sure to contact references provided. They should be able to provide a reference from a company of a similar size and operate in the same or similar industry. Inquire about how the solution has improved their business along with how the overall experience has been for them. Are there any issues surrounding call quality, and how are they addressed? How was the initial installation and programming handled? What has been the approach to on-going administration and how easy are they to deal with for customer service? You should find that the national providers have a robust technology, but drop ship the phones and provide the customer a self-servicing portal for programming and administration. Local providers tend to be more engaged on the initial set-up and on-going administration, thus scoring quite well on the customer service approach. If your business is being pinched by the costs of maintaining and old phone system and absorbing continued increases in telecom costs, this evaluation becomes very timely and critical for you. Not only can you save money overall, but you can transform your communication model and make a noticeable impact in your customer service. If your business is ready to make the switch to hosted VoIP phone service, or you are ready to look for alternatives to the national hosted VoIP providers, how do you narrow down the seemingly large group of alternative providers in the marketplace? It isn't an easy task and it will take a little effort. However, the reward for find the right solution for your business will benefit you for years to come. The national hosted VoIP provider list is well known, and they certainly dominate internet searches for a variety of terms. Their features are, as expected, robust and cutting edge. However, for all of the reasons you were ready to move away from your old phone service provider, they possess many of the same challenges, namely customer service. This article will focus on how to find and what to look for in an alternative hosted VoIP provider. Look for a Local Provider - There's nothing better than being supported by a local provider. How refreshing will it be when your phone company actually knows you and your business? There are companies with a national footprint that provide the "feeling" of local support, and this is also acceptable. If their customer references provide testimony that the customer service delivered is grounded in specific customer knowledge and relationships, then this is the hosted VoIP provider for you! Concierge, not Self-Service - One of the models of the large VoIP providers is to place responsibility for the system programming upon the customer through a web portal. This shifts the cost of administration from the provider to the customer. Not all businesses have a dedicated IT staff to handle such activity and not all portals are robust enough to handle more sophisticated call flow and design. There are hosted VoIP providers that see the administration as their responsibility and do not charge for providing updates and any call flow adjustments. As your business moves more activity to the cloud, finding a hosted VoIP provider that handles all of your telephony updates and maintenance will help you actually drive savings from your move to VoIP. Customization - If you are able to locate a provider that delivers a feeling of local support as well as handles your phone administration, chances are they are able to customize their system to meet the needs of your business. 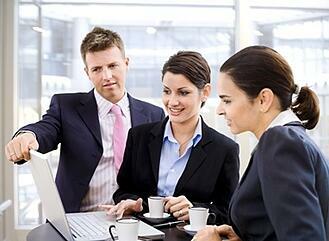 There is a large degree of customization that can be delivered. If the provider holds meetings with your business in advance of installation to understand your unique requirements and to program call flow and other features to match those needs, then you have the right hosted VoIP provider. Ask the prospective provider what the install process is like. Look for a configuration meeting where they would gather the information required to provision the phones prior to installation. If the provider speaks to delivering a website interface for self-provisioning, then you will be challenged to maximize the benefit of the system. Not all portals can capture the full range of VoIP programming capabilities. If they do, they typically are too complex to be handled by your staff, or will certainly require a lot of time by your staff to be ready for implementation. Features - You are looking for a provider that has a robust set of features that will actually advance your business and improve your communications. For the most part, such features should be included in the standard monthly fee. If you see that you are charged by feature or for features that should be considered as standard, you are likely dealing with a reseller or white label VoIP provider. Many providers look to make their standard user fee to be published as low as possible, then ramp it back up with add on features and surcharges. Others include the majority of the features in their standard fee. Going through a proposal process with multiple providers should identify one approach from the other. VoIP Phone Selection - There are a variety of VoIP phone options out there for you. They vary widely in price, sophistication, and quality. One of the reasons to look at moving to hosted VoIP is to gain the benefit of not purchasing or maintaining a phone system ever again. Your purchase of the actual VoIP phones is important to match your ultimate goal. Going with the top end manufacturers of VoIP phones like Cisco or Polycom will ensure you will have a quality phone with a solid warranty and lifetime expectation. Additionally, there will be a clear upgrade path as time goes on. You should also ask the provider if their phones could be reused by another provider if you should choose to make a change. Finding a hosted VoIP provider that best matches the needs of your business is not an easy task, but is well worth the effort. The answer is not always with the ones you see advertised heavily on the web and other areas. There are gems out there. Find one who conducts business the way you do! Go ahead, break up with your old phone company! What have they done to advance your business, lately or ever? How are your treated when you call? Have your rates ever gone down? Many businesses have found a new partner and made the move to Hosted VoIP Phone Service. There are several reasons why Hosted VoIP makes good sense for businesses. Businesses actually advance their communication practices, save money, and future proof their investment by switching to Hosted VoIP. However, fear of actually making the change can be a barrier, so let's first tackle the steps. Examine your contract with your carrier. It is sad, but true. Old telephone companies believe in their service so much that they feel the need to lock their customers into a term contract. Under the guise of "getting the best rates", customers routinely sign three year agreements with their providers, although there are provisions for rate increases along the way. Additionally, the automatic renewal clause is typically buried in fine print or vaguely directed to some external website reference. Most customers think they are out of contract, but have been auto-renewed for one or more years. Therefore, understanding your term and notification requirements is important as you set the timelines for your conversion. Review your internal network for VoIP readiness. Hosted VoIP runs over your office ethernet network. Thus, wherever you desire to have a VoIP phone placed, you will need ethernet availability. Most IP phones have dual ports, so they can share an ethernet connection with a computer, eliminating the need for wiring. Standard ports on VoIP phones allow for 100mb data throughput. If your internal network is built for gigabit speeds, there are VoIP phone models available for those speeds. Finally, VoIP phones require AC power. Make sure there are available outlets or convert your network switches to deliver power over ethernet. Evaluate your bandwidth utilization. VoIP phone calls require very little bandwidth, only 80kb upload or download depending upon where you are talking or listening. Understanding your maximum concurrent calls and running the math would let you know the requirements for VoIP on your network. Most routers provide network utilization statistics, so double checking your utilization of upload and download capacity is important. With bandwidth speeds increasing in most markets with competitive alternatives available, most businesses have already sized their capacity to easily incorporate a VoIP service into their routines. Research and select a Hosted VoIP provider. There are many providers out there, so narrowing down and selecting the right provider for your business can seem overwhelming. Start with the reasons why you are breaking up with your current phone company. If you are frustrated with rising rates and auto-renewed contracts, look for a Hosted VoIP provider who does not force you to sign term contracts. If you're interested in how the new technology can help your business thrive, look for a provider who will customize the programming of the phones to accomplish your goals. Many hosted providers point you to a portal for self-servicing and provisioning of your phones, so investigate the process. If you're tired of the poor customer service delivered by the old phone company, check the references of the Hosted VoIP provider and make sure they have the right strategy and have executed the delivery of awesome customer service. Submit Paperwork for Porting of your Phone Numbers. Your new provider will help you through these steps. Timing is the key. You'll want to provide a couple of weeks for the porting of the numbers and coincide with the termination considerations of your current contract. Your provider should be able to deliver the phones to you, fully programmed, within that two week period. Allow for some time to have a consultation session with your new provider so that they can meet all of your design requirements. So, just a little time investment can generate some great returns. You should experience a positive return on investment with this change, both directly from the monthly savings and indirectly from improved communication practices. Plan for your breakup today and follow the steps outlined above! Why Reward the Telephone Company? Businesses today are entrenched with the notion that business telephone service should be delivered by the telephone company. After all, the roots of the telephone companies trace back to the invention of the telephone itself in 1876. Although much has changed over the years, the technology is old. Because the physical plant deployed by the telephone companies is so long in the tooth, the margins on this business are quite high. There is no wonder why telecoms are working so hard to keep their customers on this old technology and avoiding the cannibalization of their business to their own VoIP platforms. There's a lot at play here. Because the large telephone companies are publically traded, there's significant pressure to deliver quarterly earnings growth. Such pressure thwarts investment in new technologies and converting existing customers to such technology. When earnings growth is required while facing double digit percentage losses in customers year after year, the expense side of the equation is hit hard. Pressure to reduce costs of customer service leads to off-shoring decisions or other cut-backs in service. All of this could have been avoided if the companies with their roots in the age of invention actually embraced invention and moved their customers to such platforms. Avoiding such innovation has opened the door for alternative providers. Similar to what cell phone technology has done to the residential landline business, VoIP providers have become the new standard for business phone service and have taken aim on the traditional providers of telephone service. Still, it is amazing to hear about businesses with "loyalties" to the traditional telephone companies. What have they done to deserve such loyalty? Auto renewals of term contracts? Non-dedicated customer service teams? Long wait times and transferring between departments until frustration trumps the desire to make the change you're looking for? All of the above reasons are among those cited for businesses switching to VoIP, alongside, of course, a desire to move to a technology platform that can actually advance the business. 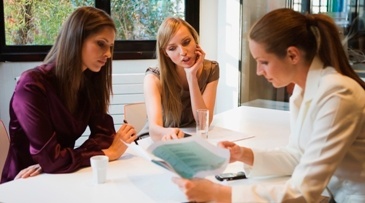 As a business, examine what your customers and suppliers look like. Do they look and act like your business? They should. There's much to be gained by working with a company that has the same character and values displayed by your own business. Moreover, you can find hosted VoIP companies in your own community or ones who service your business as if they were next door. It's time to explore what hosted VoIP can do for your business. The first step is to look in the mirror and see the type of company you'd like to do business with. Research hosted VoIP companies, exploring their technology, approach to customer service, and philosophies on term contracts. You will delight in the application of the technology for your business, advance your communication practices, and stop rewarding the telephone company! One of the big debates between providers of Hosted VoIP services centers around whether to off source account servicing to the customer or deliver account maintenance activity as a part of the service. In either case, it can be a point of differentiation. With Hosted VoIP services being the service platform of choice for most businesses today, a new telecom bundle has emerged. Traditional phone providers bundle voice and data with various term commitments under the guise of providing discounts. As alternative providers of internet have emerged, businesses have the opportunity to secure their internet services from such providers and open the door for moving their phone service to a hosted VoIP provider. These providers have created a "new" bundle. 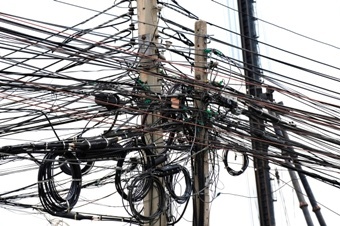 Because the phone system and service are now intertwined, such a bundle provides a unique opportunity to deliver a fantastic level of service. 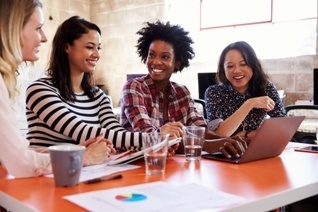 The power of Hosted VoIP manifests with the ability to customize the system to match the unique needs of the business. Business select how calls flow into the office, develop an auto attendant to route calls to maximize customer satisfaction, create find-me/follow-me routines for high contact employees, program time of day routing / messaging differences, and work through many more areas for customization. After the initial deployment, changes can be made to the programs to address changing demands. There are also needs for administrative updates, as user names (and email addresses for voicemail to email features) change with turnover. Businesses may also add phones/users as growth occurs or new locations are required. It is at this point where the great debate ensues. Is it better to provide a self servicing web platform or provide a full service support contact for customers? To be fair, there are cases to be made on both sides. At sipVine, we've made the strategic decision to provide the full service, doing so within our standard rate structure and bypassing any administrative fees or charges. At the core of this decision is what we believe to be an important opportunity to leverage the bundling of system and phone service. Due to the fact that there's an intensive level of custom programming up-front in the process, there's a great opportunity to get to know each and every customer within that context. How powerful is it to receive a call from a customer and you are able to demonstrate that you "know" them? Isn't that what customer service is all about? Do you have that kind of relationship with your current phone service provider? sipVine views this as an opportunity, one that would be lost if we asked our customers to service themselves via a web portal. Granted, there are certain things that would be easy to do on a portal. However, we've provided service to a great deal of customers coming over from hosted providers who offered web portal updating access. In most cases, these customers were frustrated with the portal as they typically had to call for a refresher on how to use it or they created problems with the phones (or call flow) as they attempted higher-level updates. 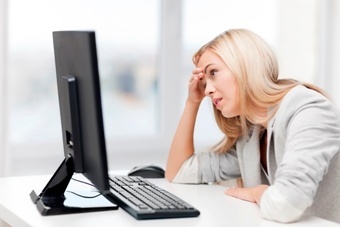 Recently, a major national provider of hosted services announced that they are now going to provide a "concierge" service, as they realized the level of frustration out there and indicated that many do not have the manpower or expertise to maintain their systems themselves. The fact that they are putting a premium on full service signals the potential winner in this debate. Despite being somewhat validated by this announcement, sipVine and other full service VoIP providers need to take full advantage of the opportunity. Customer controlled web portals have a great advantage in that they are "real time" updates. Thus, speed to respond such requests are paramount. At sipVine, we offer several different methods to place a request. Sending an email to the technical team, logging a ticket via our website or to a specific access email, or simply dialing 7HELP from their sipVine phone are among the access points. We pride ourselves in prompt closure of such requests, but mainly in delivering the feeling that we are in fact the "phone department" for all of our customers. As more and more services are being delivered to businesses in a hosted platform, the debate or self service vs. full service will be front and center. Businesses may have differing preferences. Perhaps it is best solved by the question on how they would service their own customers. Offering full service comes at a cost to the business, but the reward can be a loyal and happy following of customers! Not too long ago, this article would have focused on changing your business phone service from a traditional phone service provider to a VoIP provider. Hosted VoIP services are becoming widely accepted as the technology of choice for the small to mid-size business market, manifested by the fact that many companies are now switching from one VoIP Provider to another. It is also a signal that selecting a provider at the outset needs careful research and deliberation. Every day, we are installing customers who are moving from big name VoIP providers to sipVine. Common reasons for the shift are frustration with level of service, poor call quality, and complicated web portal processes for self-servicing. Thus, as a part of "getting it right", you should start with those items when researching VoIP providers, whether it be for moving your service from a traditional phone service provider to a VoIP service or for switching VoIP providers. Customer Service - Seek out references or testimonials relating to how the VoIP company provides customer service. Do they understand the customer and can resolve the issues quickly? There's a unique opportunity with hosted VoIP service in that the provider is delivering both the phone system and service. Thus, they have an opportunity to leverage this situation to get to know the customer's business and configure the system to match their needs. Find out from references if the VoIP provider has taken advantage of this opportunity as shown through their on-going service. If not, move on to the next provider. 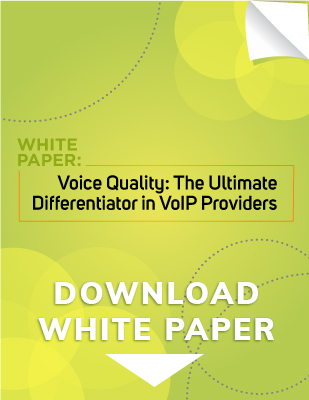 Poor Call Quality - VoIP providers still have some work to do in the area of call quality. This is the primary reason sipVine converts existing VoIP customers from other providers. If the answer to "how does your company provide for VoIP quality of service?" is along the lines of adding bandwidth or running over a separate connection, then they do not provide any QoS. Having a QoS solution is key to your decision on moving to a business VoIP service, or you will be a candidate for a switch to a VoIP provider like sipVine. You will be surprised that the major players in this industry do not have a solution for this. Self Servicing - Many VoIP providers offer a web portal. Where this provides some glitz to the sales process, the reality is that the objective is to push customer support opportunities to the customers themselves. Most customers of VoIP providers we convert have shared stories of complicated portals and more frustration with the situation than benefits derived from self-servicing. As an aside, we also see many lost opportunities for customization of the VoIP service when we are converting a customer from an existing provider. Most phones are built with their most basic configuration option. Be sure to select a provider that will meet with you in advance of the install and work through items like call flow, custom attendants, phone line appearances and/or busy lamp fields, and several other customization options. If not, then a large opportunity is missed to build your system to match your needs. Make sure you are out of contract. Most VoIP providers do not have term contracts, but it is always good to double check. If you have had documented problems with voice quality, you may have some grounds to break the contract. A VoIP phone may be locked or password protected. Be sure to get them unlocked or find out the password prior to switching providers, assuming that provider can reuse your specific brand of phone. Be sure to capture all of the numbers you wish to port to a new provider. If you have not published your direct dial numbers (DID) widely, it may be prudent to only port over your main line and fax line and have your new provider deliver a new block of DIDs for you. Whether you port all of your numbers or not, you should cancel your service and billing from the other provider once you have confirmation that the ports have been completed. We hope this information is helpful. Don't be discouraged if your initial foray into VoIP didn't go well. There are some fantastic providers of VoIP services and some wonderful benefits to the businesses who use them. As a business, you're excited about the opportunity to evaluate new technologies and drive benefits to your organization. After all, a Hosted VoIP system is becoming commonly accepted as not just the technology of the future, but of the present. Your peers in your industry are moving to these services and they come highly recommended. You've calculated the benefits to your business, determined your return on investment, and selected your new hosted VoIP provider. Now, you turn to your existing telephone service and, after struggling to even find the right person to talk to, find out that, BAM, your service was auto renewed for another year! This is not a story presented merely for effect. It is a reality that occurs every day. As telecom companies desperately hang on to their old, analog technologies, they rely upon the shackles of term contracts and the dreaded, insulting, and gutless auto renewal to keep their customers hostage. We'll set aside the question of the auto renewal for a moment and discuss the other bad legacy at play here, the term contract. How are businesses convinced that a term contract for their telecom services is a good thing to begin with? It's all about feeling like they are getting the best deal. First, they are presented with the merits of a bundle of services on a single bill, albeit a confusing bill. Then, they see that the overall price is reduced for the bundle for each year tacked on to the term. They sign the order, and all is good. But, is it? Many times, the order signed references terms and conditions that are not attached, but available on line. These terms are rarely reviewed and certainly not negotiable. Typically, they are not discovered until the business is ready to make a change or when their agreed upon pricing increases during the term. Most businesses in this situation are usually of the belief that they are out of term and free to make a change or negotiate a renewal. After searching hard and actually finding someone who can effectively answer questions regarding their service, they discover that their contact auto renewed for another year a month ago without any notice or warning. Following the example above, they are shocked that such terms existed in the first place. Telecom companies claim that they are doing the business a service in that they are staying with their current bundle price and didn't revert to a higher, non-term price. However, all they accomplished was to further drive dissatisfaction with the situation and shackle the customer to one or more years. It may be deemed to be a little indulgent that this message is being crafted by a company who doesn't believe in term contracts and has a clear philosophy of earning our customers' business every day. Perhaps, but we literally run into this exact scenario each day when working with businesses who are ready to invest in VoIP technology. It is a sad situation and a bad legacy of the industry, one that needs to change. What should your business do? 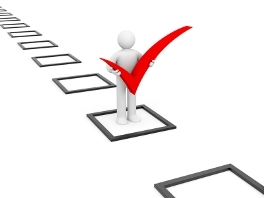 First, evaluate your current telecom contracts and seek out the specifics of your term. Then, you will at least know your options and the time frame in which you have to either seek out alternatives or attempt to negotiate a renewal with more favorable terms. With the rate of exodus from traditional telecom providers, they may be more flexible in the future when it comes to term and price negotiation. If you don't want to bet on that becoming reality, examine your alternatives and what new technology from new providers can provide your business. Many offer no contacts, clear, competitive pricing, and cutting-edge, but affordable technology. 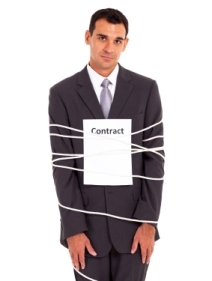 Your business deserves to be free from the shackles of term contracts and auto renewals! Deciding upon the best phone service provider can be challenging for any business. Given new technology, there are a host of new options available to you in the marketplace and you are no longer bound to your traditional telephone provider. You should start by determining your organization’s ability/desire to utilize new technology in your communication practices and identifying the characteristics of a phone service provider that will meet your expectations. If your company desires to utilize new technology in your communication practices and you want to keep the capital expenses low for such an endeavor, you can consider a hosted phone service provider. This literally opens up the competition to a number of great providers. These providers provide both the phone service and phone system, as the phone system is provided in a cloud environment and the service is delivered over the internet. Additionally, if your company has points of presence in multiple cities or has virtual employees, they all can be on a common phone system and you can consolidate service providers! Describe your approach to customer service. Do I have an account team to rely upon? How are requests for service handled and are there multiple ways to create a service ticket? Do you conduct a consultative session with me on customizing the configuration for the hosted phone service so that it conforms to how we do business? 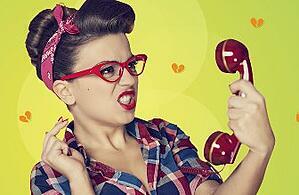 How do you handle VoIP voice quality management? Do you deploy a device on our network or do you manage this solely by bandwidth expansion? Describe your hosted platform. Is it located in a secure data facility? What redundancies are built in? What disaster recovery options are available to me with your service? Given our industry, what features do you believe we will benefit the most from? These questions will help qualify candidates and you can narrow down competitiveness of bids from the providers who answer the above qualifications to your satisfaction. First and foremost, judging the potential provider on their willingness and ability to get to know you and your needs through the qualification stage is a great indicator of the type of service they will provide. Those providers who are experienced in working in multiple industries and can provide the consultation necessary to appropriately customize the solution to meet your expectations will clearly rise to the top. Many focus on the features, coolness factor, and price, but fail to be able to truly understand your business and what is important to you. Your business deserves to be supported by a provider who can be seen as your phone department rather than a vendor.